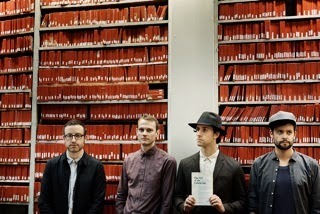 2014 is going to be a busy year for Maximo Park. With a new album 'Too Much Information' due for release on February 3rd, the band have confirmed the release of their single 'Leave This Island' on 24th January. The song is at a slower pace than some of their earlier work, but non of the energy that made the band famous has been lost. Starting off with a simple drum beat and ripple of synths, the track lifts as it progresses and carries you through. In the track we clearly hear a band that knows what they're doing, without having to shout to be heard. For the music video the band worked with artist Matt Stokes to create a short that looks at the life of a real 'Urban Hermit' living in East London. 'Leave this Island' compliments the short perfectly and becomes a soundtrack to the uncompromising promo video. You can watch the track on the link below (hopefully will be on this site soon). Claim faucet bitcoins at Easy Bitcoin Faucet. 11 to 33 satoshis per 10 mins.